The shamelessness of the Arab world has reached new heights in recent weeks. In following the footsteps of the countries in the (Persian) Gulf Cooperation Council, the Arab League blacklisted Hezbollah, which has been the backbone of the Palestinian resistance movement, as a terrorist organization. The resistance movement, which is based in Lebanon, has for years unconditionally supported the Palestinian struggle against the illegitimate Zionist entity. However, Arab countries (beginning with the Saudi occupied Hijaz, of course) have not only been silent and idle in the face of Zionist oppression and occupation of Palestinians, but complicit and supportive. Hezbollah has spared no opportunity in condemning Zionist aggression whereas Arab countries have openly and covertly developed relationships with the Zionist entity. We predicted in the previous article that the Saudi-led move by the (P)GCC against Hezbollah will push and exacerbate sectarian tensions in the Muslim community, and that it would eventually lead to a major confrontation. The fact that the Saudis were able to attend the Arab League summit on March 11 and convince every Arab state – with the exception of Iraq and Lebanon – to vote in favour of furthering the Kingdom’s vendetta against Hezbollah and the Axis of Resistance shows that things are already in motion. In fact, when Iraqi delegate Ibrahim al-Jaafari voiced the Iraqi contingent’s support for Hezbollah and praised the movement’s Secretary General, Sayyid Hassan Nasrallah, the Saudi delegation left the room. Aside from Iraq and Lebanon, the remaining countries voted in favor of blacklisting Hezbollah and therefore played into the hands of the Saudis by giving the confrontation a sectarian color and portraying it as a Shia-Sunni conflict. More unfortunate and upsetting than the fact that Muslim countries decided to turn their backs on an Islamic resistance movement is that the Palestinian delegation, which should have been the most vocal critic of the vote and the most vocal supporter of Hezbollah, sided with the Saudis. As we witness the Third Intifada gaining momentum, the frequency of the Zionist regime’s atrociti es against Palestinians are also increasing. Whilst the Arab world zips up its mouth and looks the other way, almost 200 Palestinians in the West Bank alone have been killed by Zionist occupation forces since October 2015. In addition, Zionist forces have not stopped launching airstrikes and killing children as young as 10 in the besieged Gaza Strip at regular intervals; still, Arab nations continue to remain silent. As the illegitimate child of American imperialism in the West Asia (Middle East) continues building and strengthening its military in order to inflict wounds and eventually wipe out the most oppressed nation on the planet, Arabs are busy demonizing a movement that has unconditionally supported the Palestinian people since its creation. It is disgraceful that someone as spineless as Mahmoud Abbas is representing Palestine in the international scene. This “man” has continuously bent over in favor of the Saudi-led coalition’s destruction of the Muslim world when it is clear to the whole world that no Arab country has done anything for the Palestine struggle for freedom except Syria, which is currently being destroyed by the same coalition that has employed Mahmoud Abbas as its court jester. Simply put, Mahmoud Abbas is loyal to those who are Zionerican puppets. Despite the fact that Hezbollah and Syria for years have backed – and continue to back – the Palestinian cause, Mahmoud Abbas has seized every opportunity to stab them in the back. First, Saudi-backed militants have been defeated and humiliated time and again by Hezbollah in Syria, which has infuriated the financers. In other words, “Saudi” Arabia is taking revenge. By turning the Arab world against Hezbollah, the Saudis are trying yet again to increase internal pressure on the resistance within Lebanon. Following the GCC’s statements last week, Saudi-backed Lebanese politician, Saad Hariri, held Hezbollah responsible for sabotaging and undermining Lebanon, which was due to receive a 4 billion dollar package from “Saudi” Arabia. 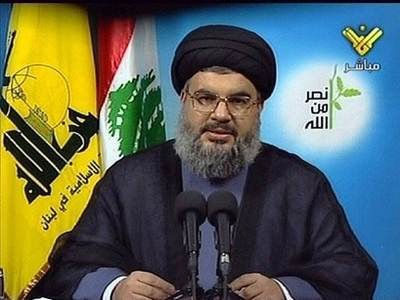 The Saudis, in order to intensify Lebanese pressure against Hezbollah, cancelled the deal. As a result, not only will the Lebanese people suffer inside their own country, but in other Arab nations. The Arab League is seeking to make the Lebanese people suffer to the extent that they turn and revolt against Hezbollah, the same movement that ended the Zionist occupation of the country, winning the people their freedom. The fact that Hezbollah is considered a terrorist organization by the United States of America and Canada shows that the Arab League’s vote was dictated by the Zionericans. Discord between Shia and Sunnis is the ultimate goal of the Zionericans, who are celebrating the results of the Arab League summit. 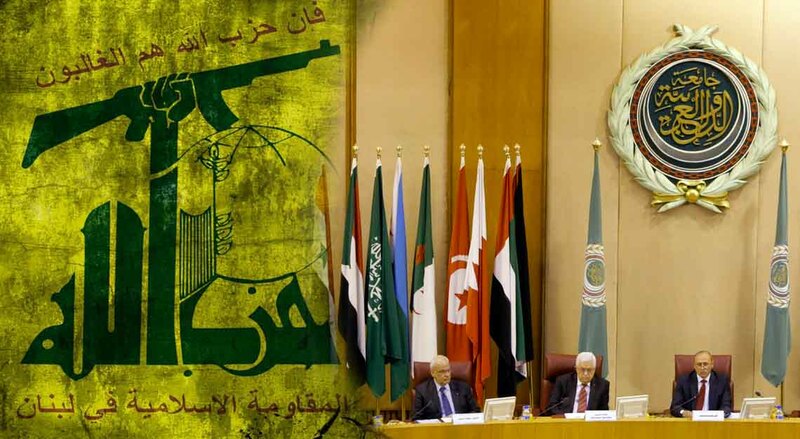 Second, the Arab League is seeking to punish Hezbollah because of the movement’s loyalty to the divine system of the Islamic Republic of Iran. 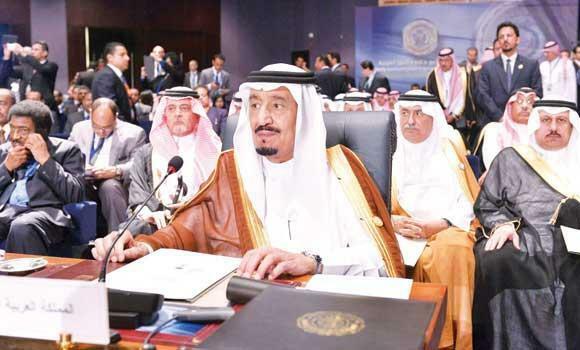 “Saudi” Arabia has been trying its best to form an anti-Iran bloc; the Kingdom has stooped so low that it has become open about its friendship with the Zionist entity just so that it can further undermine Iran’s strength. This is how unfaithful these Arabs are; they have paid back their fellow brothers in religion – who have been the pride and honor of all the oppressed people of the world – with treason. The economic condition of “Saudi” Arabia is going from bad to worse, and the strategies the “royal” family are employing right now are born from desperation. The Kingdom’s military strength has been weakened by the powerful resistance forces of Yemen. It will come as no surprise that even the United States is distancing itself from the Saudis; it has been a historical trend that the United States has only used nations as long as they served their imperialist interests. As soon as a nation could no longer serve, it was taken out of the picture. Saddam Hussain, Muammar Gaddafi, and Hosni Mubarak are but a few examples of many dictators who were initially supported but then eventually left to rot by the United States of America.